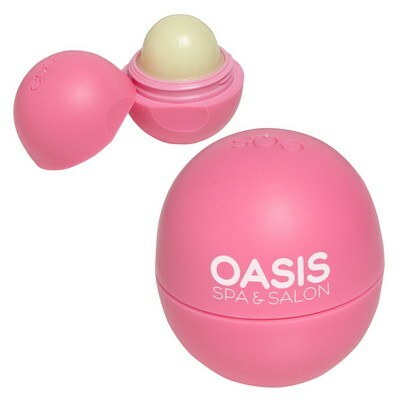 The EOS Lip Balm contains vitamin E and Shea butter, giving long lasting moisture and gloss to your lips. 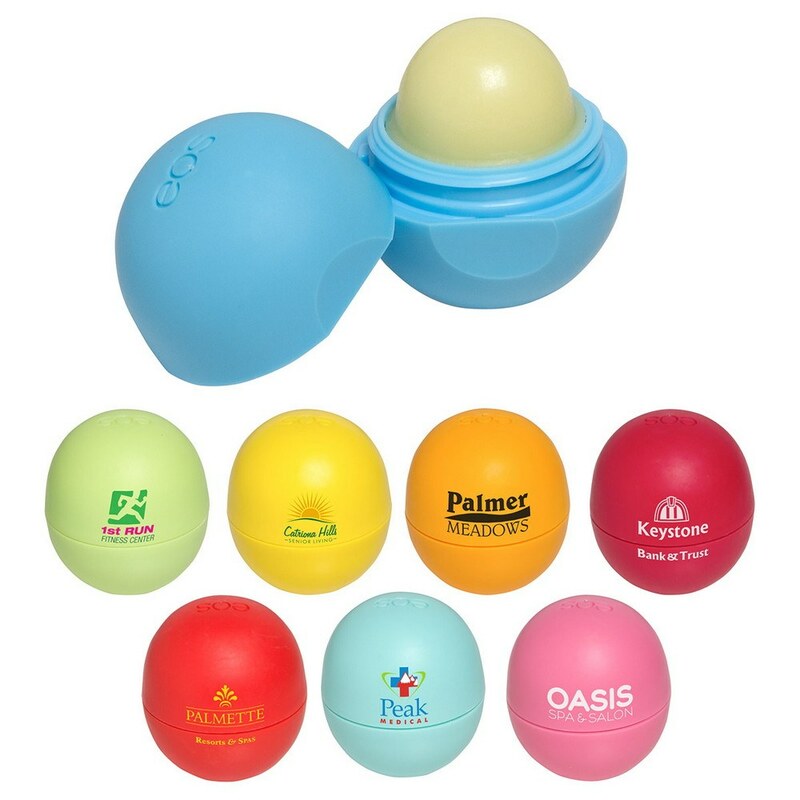 Imprint area: 0.875" x 1", 0.875" x 0.625", 0.625" x 0.875"
Our EOS Lip Balm The EOS Lip Balm provides soft, smooth, and beautiful lips, with everyday use. It contains vitamin E and Shea butter, giving long lasting moisture and gloss to your lips. It is 100% natural, made of gluten, petrolatum, paraben, and phthalate free ingredients. 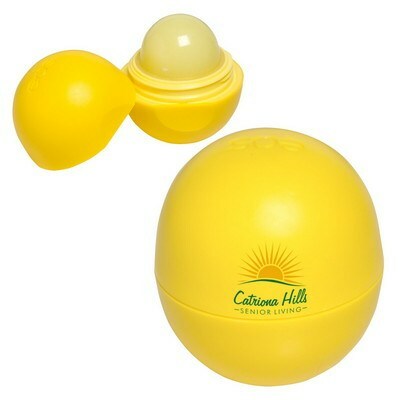 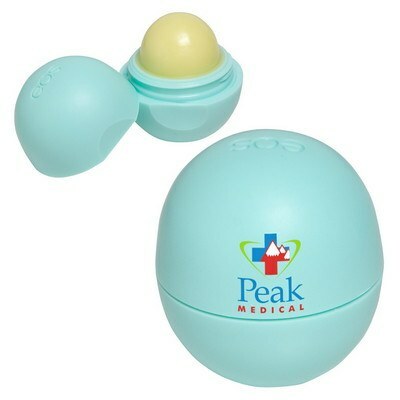 The lip balm comes in a compact, easy to use, 0.25 oz. 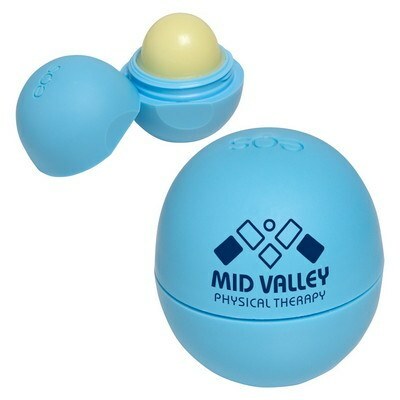 pot. This handy lip balm has 12 different flavors and the color of balm is the same in all flavors. 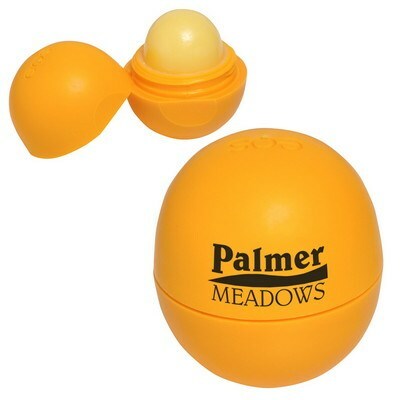 Please note that Yellow Lemon Drop with SPF 15 and Orange Medicated Tangerine are not available for sale in Canada.